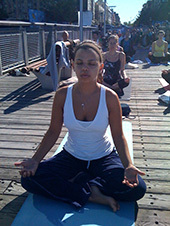 In 2003 The Yoga Room opened the doors of its former Steinway Street location in Astoria. 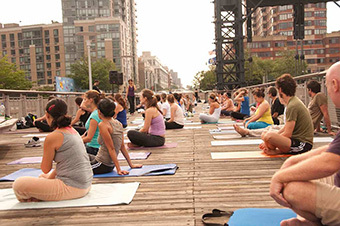 Since then we have expanded into two beautiful, large spaces in both Astoria and Long Island City. Each location features three large studios to accommodate a total of over 200 classes per week. We have a wide variety of class offerings including hot yoga and hot Pilates, Iyengar-based alignment classes, vinyasa flow, prenatal and mommy & me yoga, and even our ballet infused Barre fit! Actively seeking new ways to experience the gift of yoga, we have now integrated Aerial yoga into our schedule, and we continue to offer new and exciting workshops to give students fresh perspective on their practice. Each of our instructors brings their own unique style to the teaching lineages of yoga and Pilates. Through a blend of tradition and creativity students can immerse themselves in a deep pool of knowledge and build a practice that suits their needs. 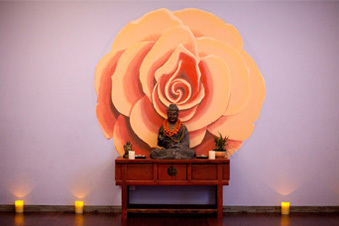 A sanctuary for beginners and experienced yogis alike, The Yoga Room offers a bright, friendly space to explore the potential of the body, and to find balance in a busy city. We are honored that many of the members who started practicing with us in the beginning still call The Yoga Room home, and we are inspired by the new practitioners who venture through our doors each day to try a class. We would love to meet you, and welcome you to our community!